It was a gorgeous day for a garden wedding at Carrollwood Country Club! 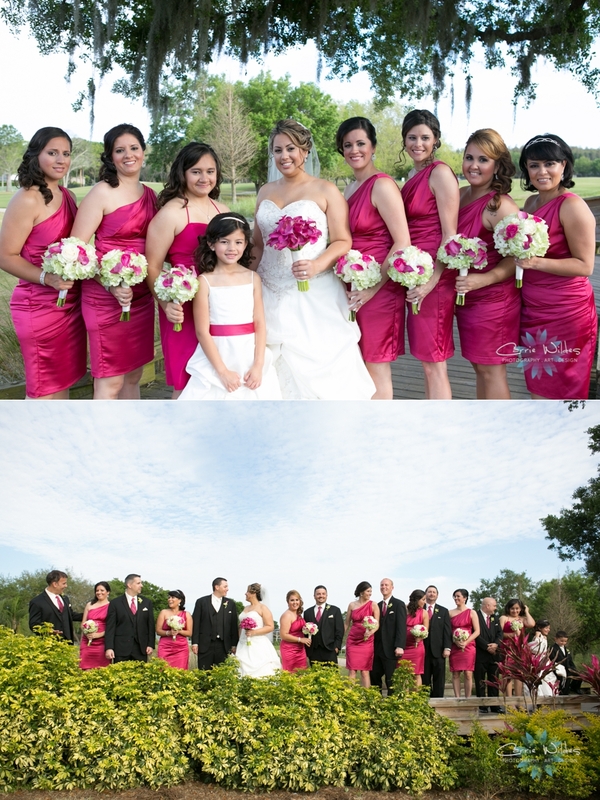 Maritza looked beautiful in her gathered gown with beaded accents and bright pink shoes. 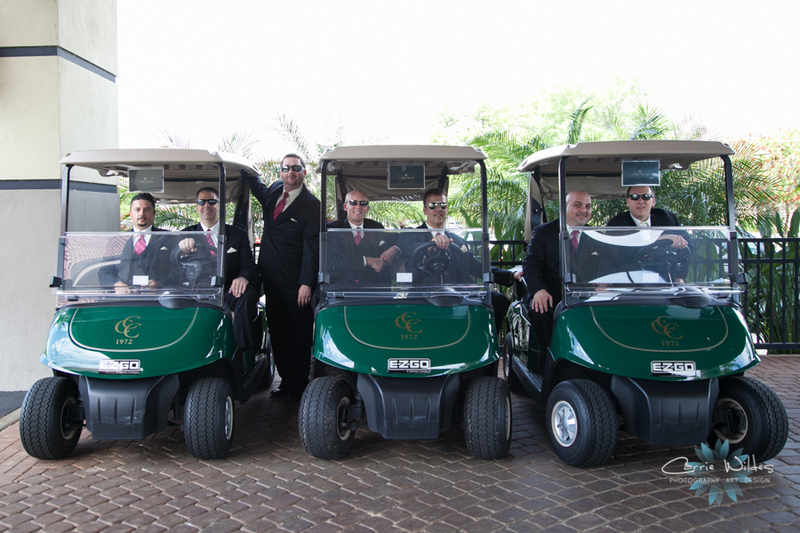 The girls magenta dresses and boys black suits looked awesome on the green backdrop of the golf club. 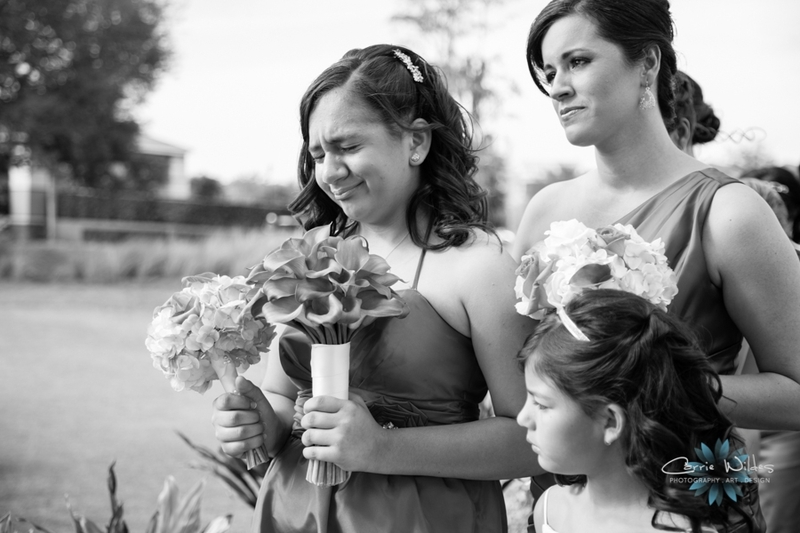 Maritza and Dustin's daughter Jasmin was a maid of honor and they also included her in the sand ceremony as not only Maritza and Dustin were joining together, but the 3 of them officially becoming a family. It was really sweet and emotional:-) The reception decor was spandex chair covers with pink accents and alternating short and tall center pieces. Cake, toasts, dancing, and amazing moments!! Congrats Maritza & Dustin!! !